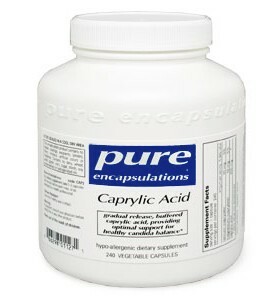 Caprylic acid, also known as octanoic acid, is a naturally occurring fatty acid. Calcium and magnesium caprylates act as buffers and may also help slow the dispersion and release of caprylic acid to support its activity throughout the gastrointestinal tract. 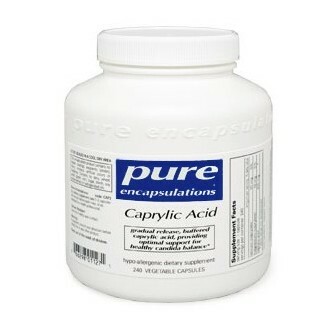 Caprylic acid promotes a favorable environment for beneficial microflora. Due to its fat solubility, it is believed to penetrate intestinal mucosal cells to exert its effects.